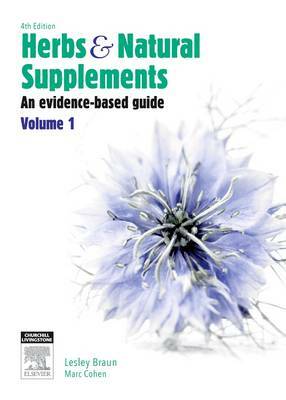 Herbs and Natural Supplements, 4th Edition: An evidence-based guide is an authoritative, evidence-based reference. This two volume resource is essential to the safe and effective use of herbal, nutritional and food supplements. The first volume provides a foundation of knowledge in the clinical practice of complementary medicine. It emphasises safe practice with strategies to prevent adverse drug reactions, guidelines in assessing benefit, risk and harm and the evaluation of research.